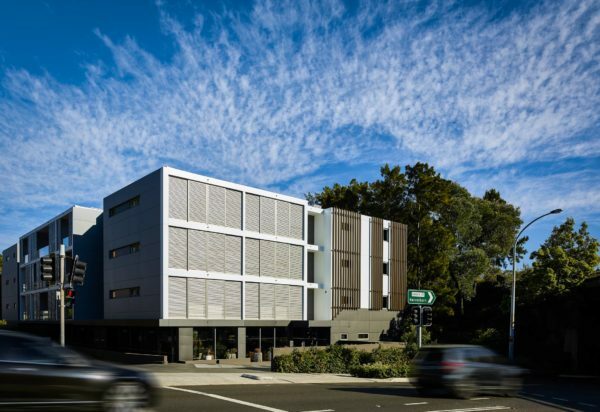 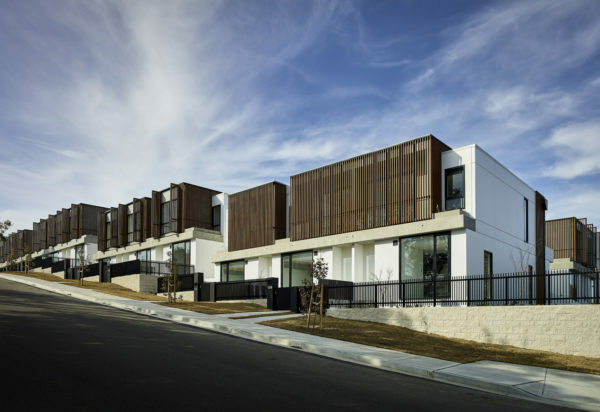 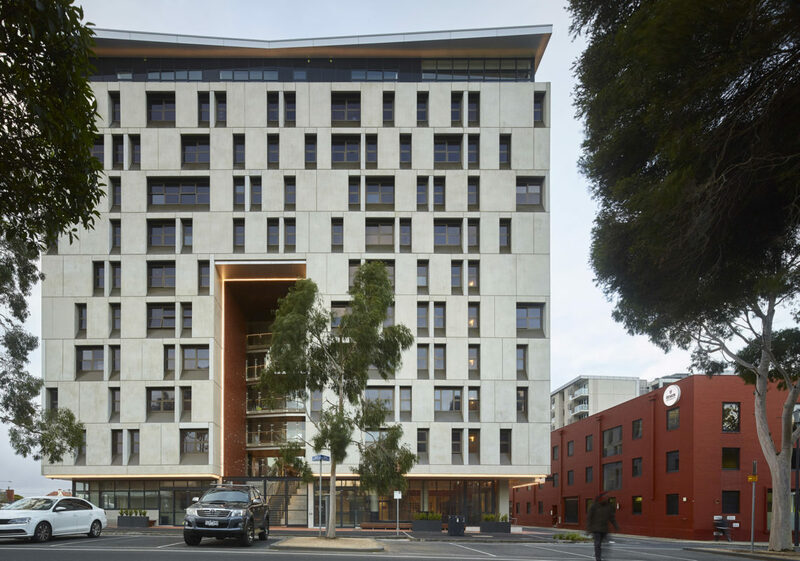 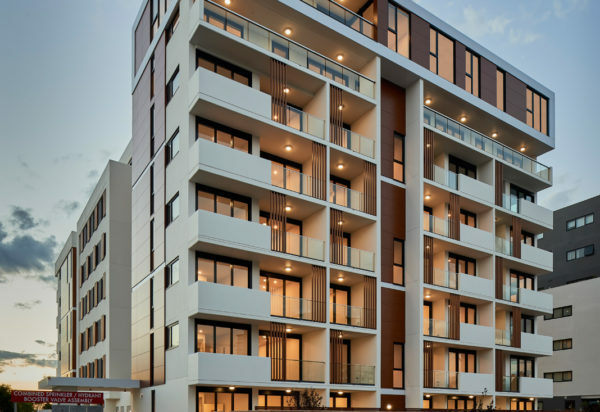 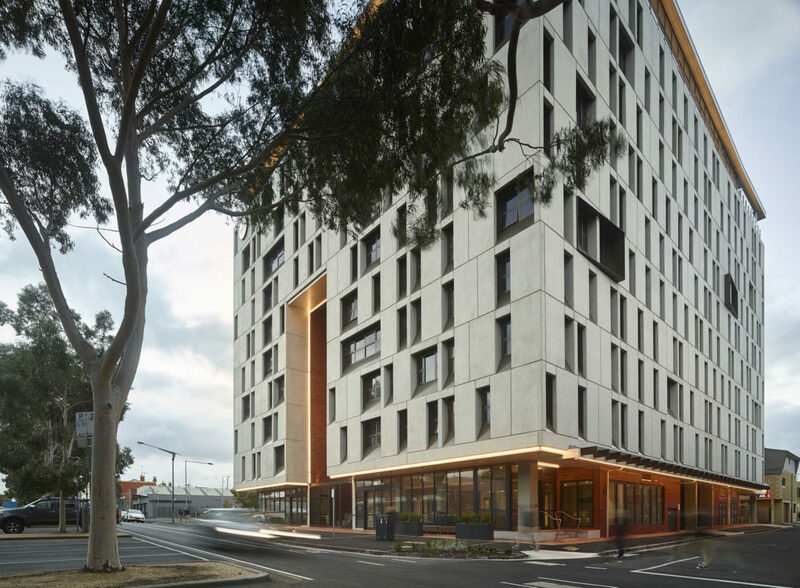 The student accommodation building at Deakin University’s Geelong Waterfront campus houses 410 students in 11 levels of shared 6 bedroom apartments, borrowing the idea from sharehouses favoured by students. 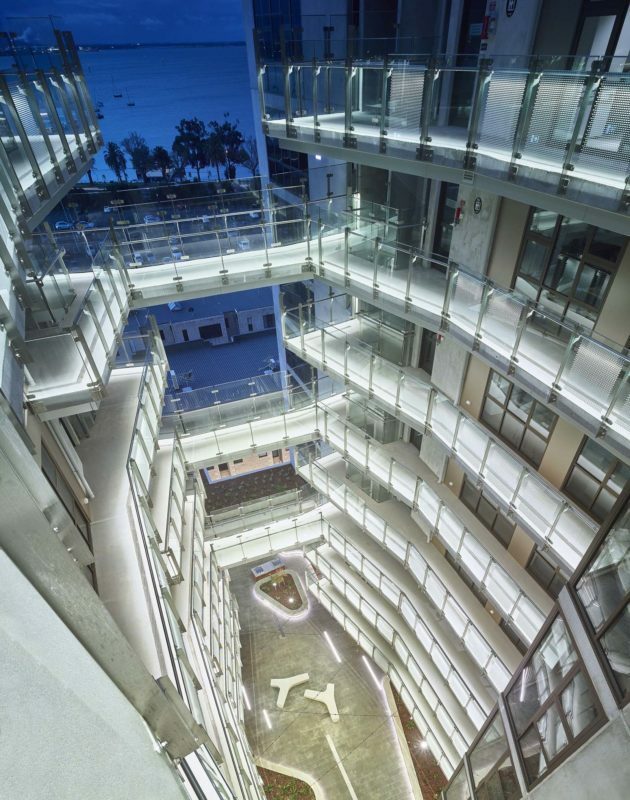 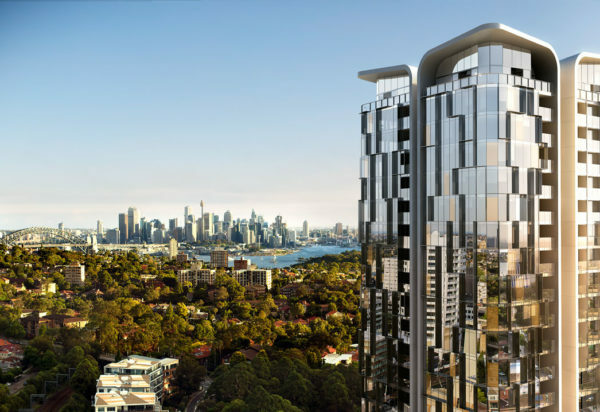 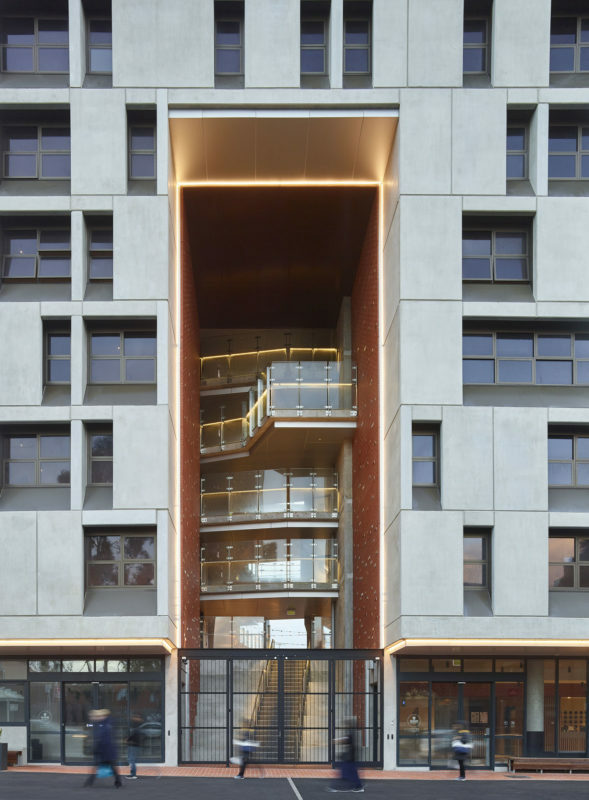 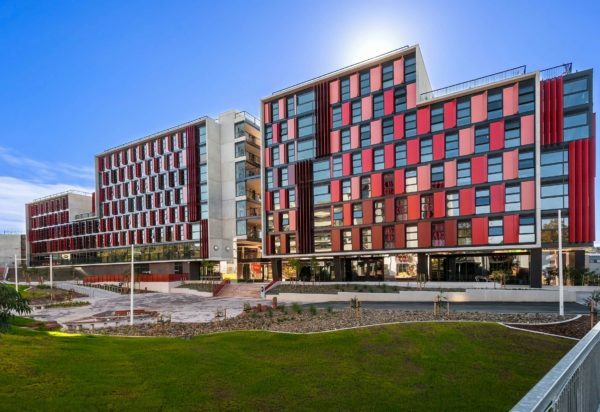 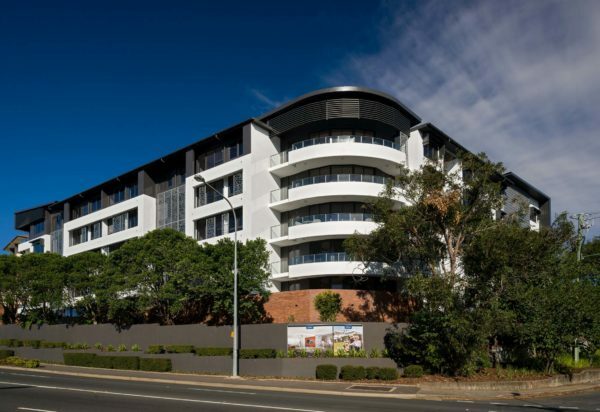 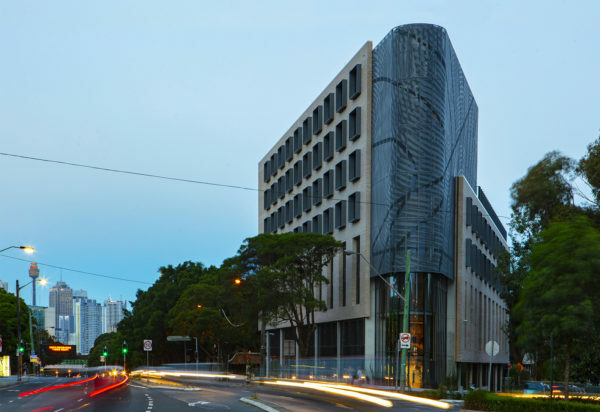 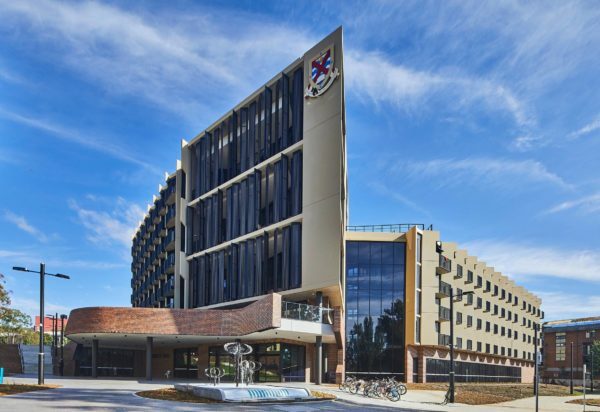 nettletontribe, working in conjunction with Thomson Adsett, have produced a building that connects student apartments via link bridges that wrap around a central open atrium taking in stunning views across Corio Bay. 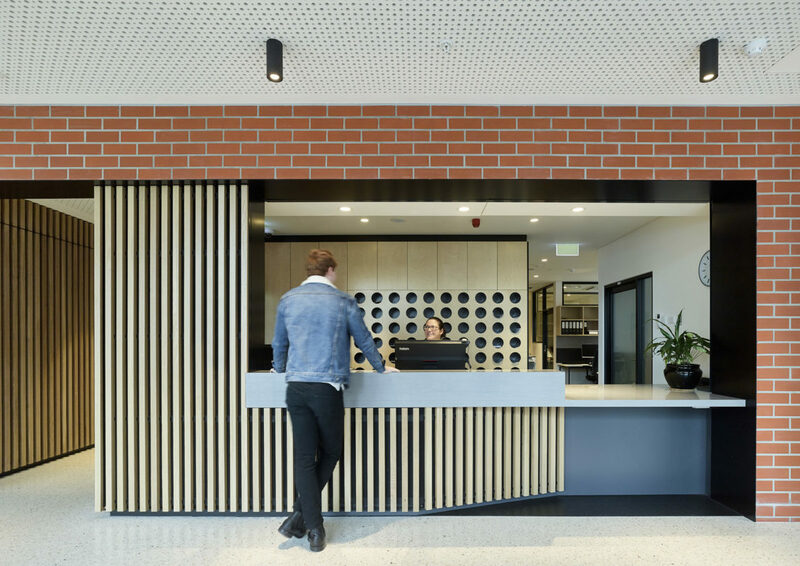 The materials used at ground level connect to the historical inspiration of the Geelong Wool Stores with the punctuated white concrete form above reflecting the diversity of individuals within the university community. 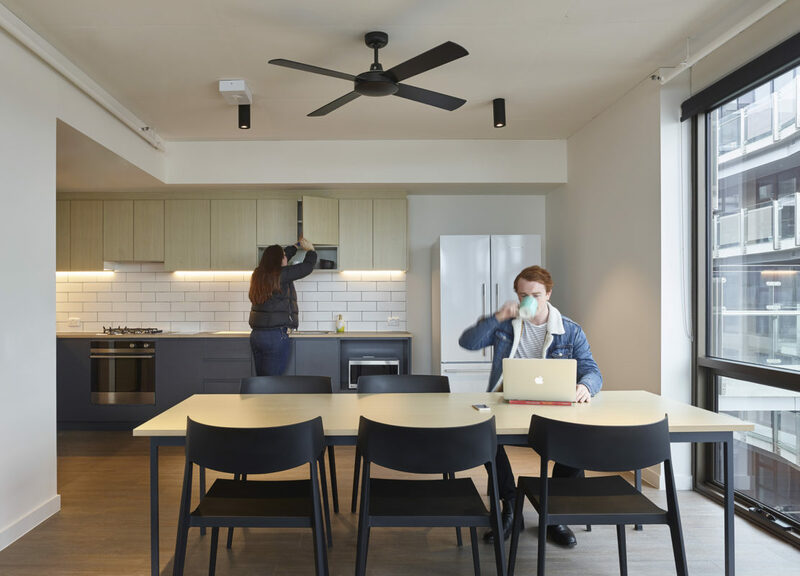 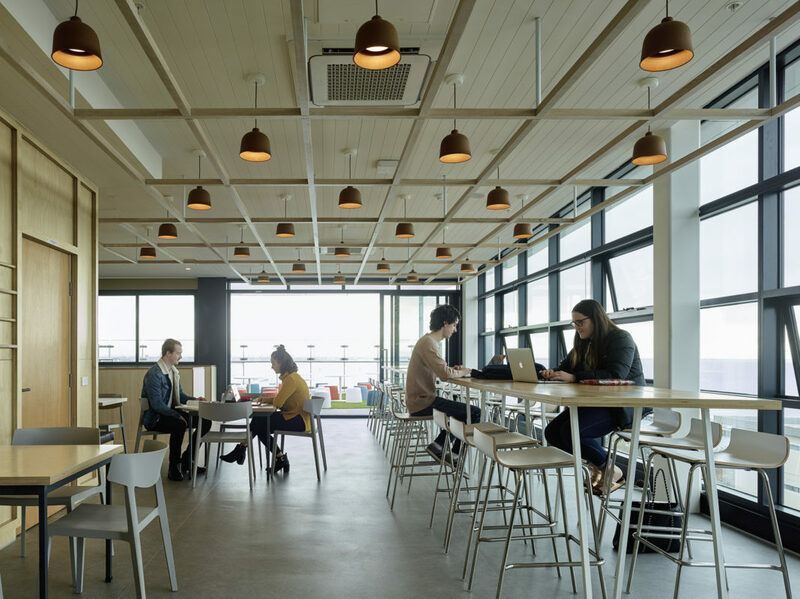 Crowning the eleventh level are communal student spaces which foster gathering and activity further enhancing the shared accommodation experience.